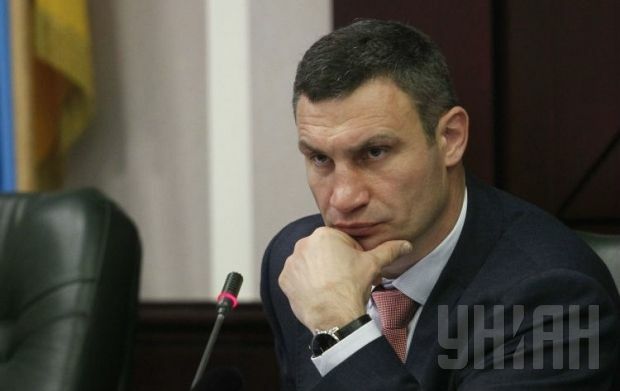 Kyiv Mayor Vitaliy Klitschko requested at a Cabinet of Ministers meeting on Wednesday that the prime minister tell the Finance Ministry to resolve the issue of financing the Ukrainian capital, the press service of Kyiv State Administration has told UNIAN. “We all are aware that the provision for and smooth functioning of the capital depend on financing,” Klitschko said. “We all know that both the state budget and the Kyiv budget are strained. Kyiv is the only Ukrainian city that sends individual income tax revenues to the state budget. Last year, Kyiv paid about UAH 9 billion in individual income tax revenues to the state budget. Following a decision that the Kyiv authorities pay 50% of the individual income tax revenues they receive to the state budget, the Kyiv budget started to experience more serious difficulties. “With no financing, the Kyiv authorities are unable to make social payments and support the public sector. The Kyiv budget is expected to record a deficit of UAH 1.7 billion by the year-end. We badly need this money - UAH 700 million will be used to pay wages, UAH 101 million will be used to pay compensation for medicine and UAH 166 million will be used to pay food subsidies. It’s not right that Kiev citizens pay taxes to the state budget, and then the Kyiv mayor has to beg for money for this or that purpose. “Some Kyiv citizens who cannot afford life-saving medicine are also forced to ask for help. The state budget covers only one third of the compensation owed to the city’s transport companies for providing free services to certain categories of the people, Klitschko said. As UNIAN reported earlier, on November 4, Klitschko said that he would ask the government for money to pay arrears of wages to public workers and to support public institutions in the current year. On November 13, Klitschko said the situation with health care financing in the city was critical – the funding shortfall was UAH 153 million. Mykhailo Radutskiy, a deputy head of Kyiv City State Administration responsible for medical care, said the government owed Kyiv UAH 108 million for medical purposes. On November 18, at a meeting with Kyiv employers and business owners, Klitschko said the government had brought the capital to the verge of bankruptcy.